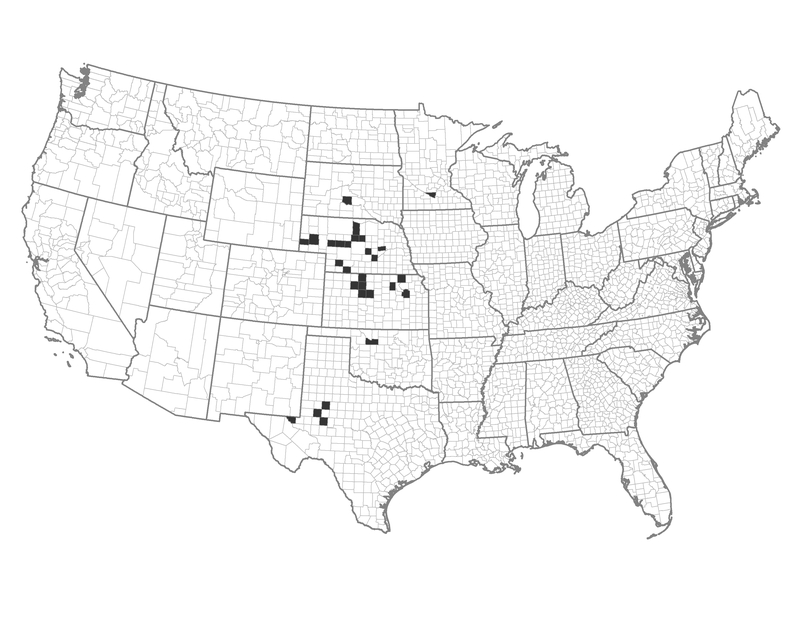 These counties are rural, agricultural counties of the Great Plains and are distinguished by their low Wildland Urban Interface and moderate area burned. Example of a Typical County — Hall County, Nebraska: This eastern Nebraska county is bisected by the Platte River and Interstate 80 and includes the town of Grand Island. These counties may consider using prescribed fire, grazing and mowing as their primary fuel management options.